Excellent piece by the talented staff of Four Points News. The owners of District Kitchen + Cocktails in Austin’s Circle C neighborhood opened their latest restaurant concept, Oasthouse Gastropub, in the Trails at 620. “My brother and I have been eager to start a new concept together,” said Amir Hajimaleki, executive chef/owner. He and his brother, Ali, began working in the restaurant industry 12 years ago. As a chef, Amir wanted to prepare thoughtful, seasonal menus in areas of Austin that he thought were underserved. Ali, with a background in restaurant operations, worked with Amir to create District Kitchen in 2013. This year, in mid November, the brothers opened Oasthouse Gastropub in Four Points. They chose the area and, in three months, redesigned the former Highlights Gametime Grill space. Oasthouse offers “elevated” pub fare, more than 21 beers on tap and craft cocktails in a modern farmhouse space. 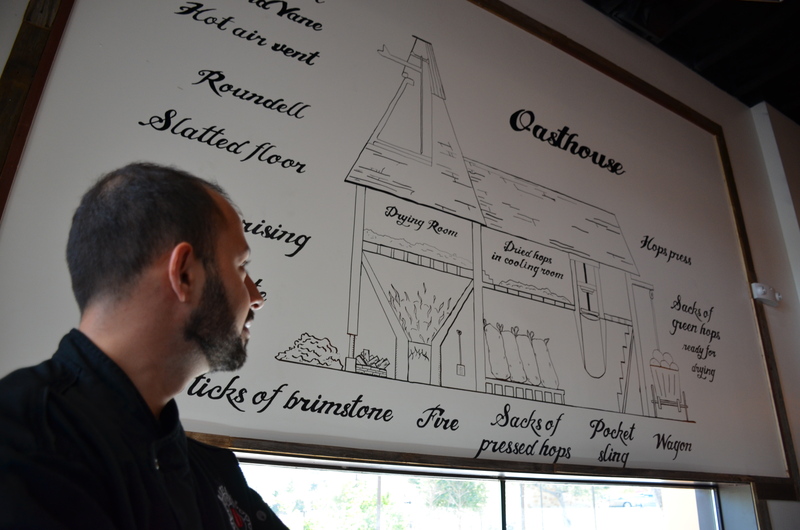 It is named for “oast house,” a building designed for drying hops as part of the brewing process. The structures can be seen in parts of Europe. Oasthouse has a large patio area for a beer garden and the goal is to grow hops and herbs in the space as well.